Sarah Wiseman Gallery is thrilled to announce 'Bloom', a beautiful exhibition featuring the work of two artists exploring flowers in all forms - growing wild, gathered in bunches or adorning print and textiles. 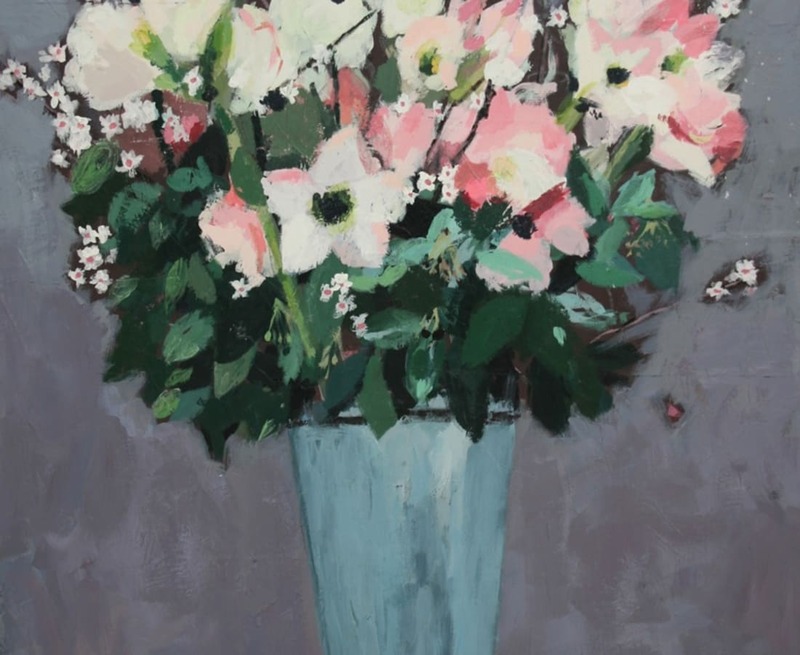 'Bloom' will be a joyous exhibition of pattern and colour, with two artists that are guided by their love of surface texture and shape, interpreting floral and organic forms in contrasting yet complementary styles. Through her drawings and sketchbooks, London based Charlotte Hardy investigates decorative design and whimsical detail, creating still life paintings that are both loosely expressive and closely observed. She is interested in life's little pleasures; cake stands, tea-pots and flowers bunched in vases are among her favourite subjects as well as curious shop-fronts and window displays that draw the eye. 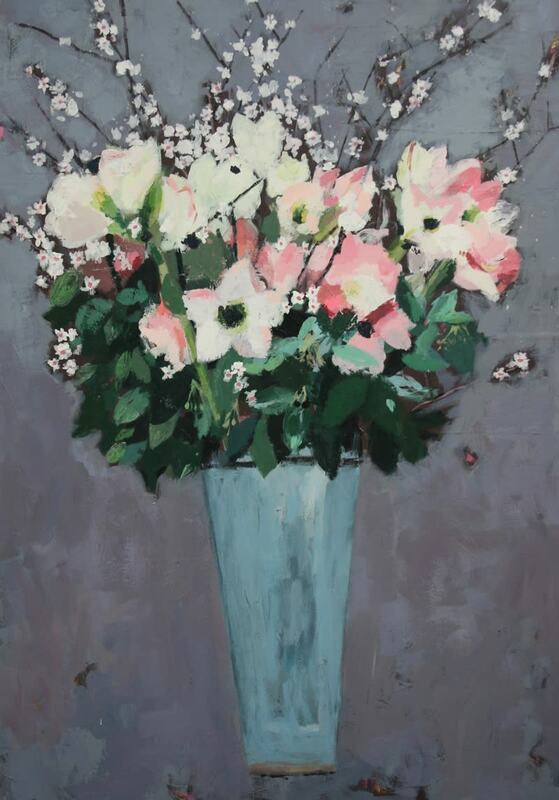 Visitors can expect to see a stunning new collection of paintings that explore assortments of objects and flowers, assembled together to form naturally occurring arrangements. Sally Stafford is based in Bath and is well known for her expressive landscape painting, her emotional response to her surroundings key to her work. 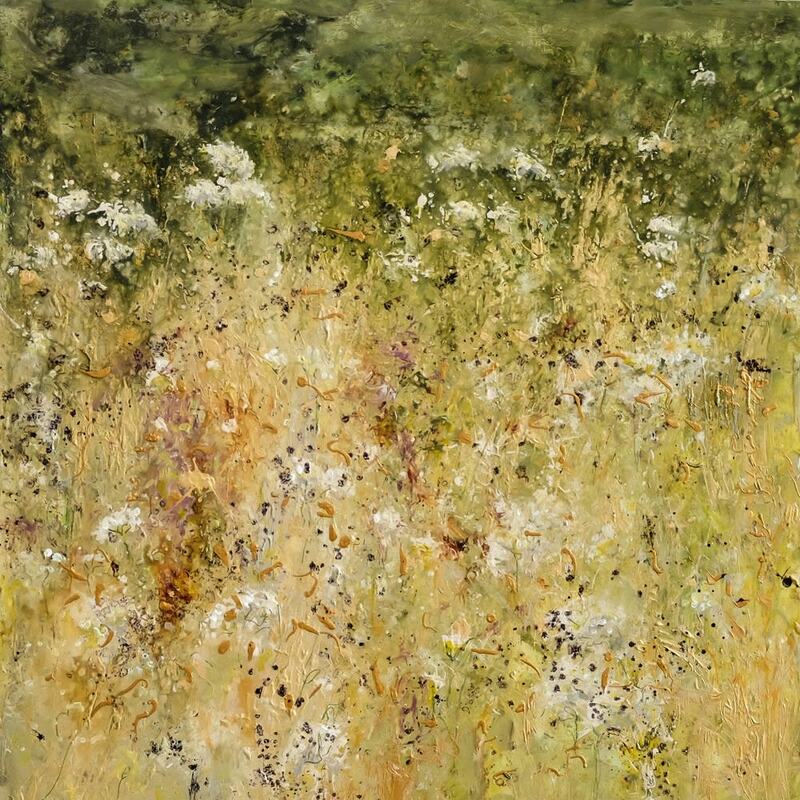 Inspired by her rural surroundings, she uses mixed media, preferring to work on the floor of her studio, allowing the paint and ink to react and pool together. 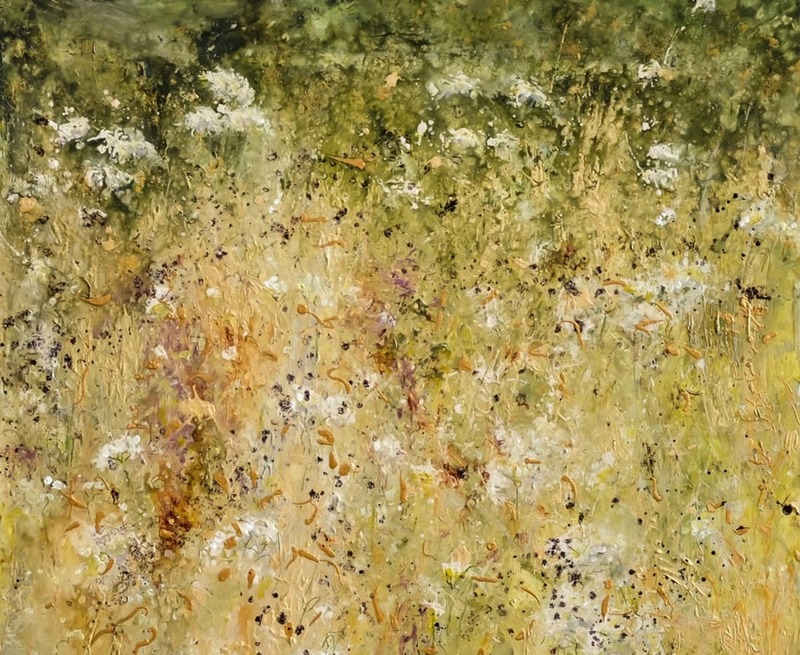 She maintains that she is not simply painting a meadow, but 'growing' one, allowing her intuition to inform her process.